South Siesta Key canal front villa funsihed two bedroom villa at Schooner Bay. SCHOONER BAY is a small gated community of villa homes situated on a canal. 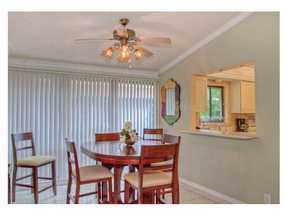 Close to shopping, restaurants, and Siesta Key beaches. Minutes to downtown Sarasota. Community features a swimming pool and clubhouse. Two King size beds. Cable TV and Internet included. Monthly rate from May through November $2500.